If he or she is licensed by another state, the privilege to drive in Alabama will be suspended by virtue of any DUI first offense conviction for a period of 90 days. 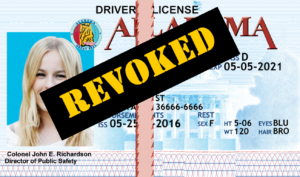 Special DUI laws in Alabama that are tailored for a person with an Alabama driver’s license CANNOT be used by out-of-state licensees. Plus, a conviction in Alabama gets communicated to other states. 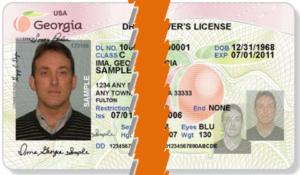 Nationally, the in other states, their department of motor vehicles or department of public safety of another state (like Georgia, Florida, Mississippi or Tennessee) will honor that Alabama DUI license suspension from an Alabama criminal court, once the driver goes back to his or her state of residence, if Alabama DPS reports the conviction and driver license suspension to them, as is required by Alabama DUI law. So, if you were convicted of DUI-DWI-OWI in any other state, the complexity of our investigation, in analyzing all aspects of your potential DUI Alabama punishment, increases for our DUI law firm. Another neighboring state, Tennessee, now has mandatory ONE YEAR ignition interlock for even a 1st DUI conviction, when any conviction for an Alabama DUI gets reported to them. Thus, our Birmingham DUI lawyers must interpret the impact of Alabama drunk driving laws and inform a Tennessee licensee of that substantial extra cost and restrictions of their driving privileges, when they go back to their home state with an Alabama DUI conviction. Similarly, a 2nd DUI in 10 years in South Carolina, once an Alabama DUI gets reported to SC DPS, will unleash some very punitive and harsh driver license restrictions and loss of driving privileges. Many times, a SC or TN licensee will want to fight the case, rather than simply accept this lengthy driver license suspension, plus ignition interlock cost. Other States measure Lookback Periods Differently for First Offense DUI and Second DUI – Not every state follows the same lookback “rules” as the state of Alabama. By way of example, Georgia measures a second offense DUI as date-of-arrest to date-of-arrest, and applies a 5-year lookback for their drivers license suspension law, but a 10-year lookback under the criminal law part of Georgia DUI laws, for adding on very harsh addition DUI penalties and consequences for a DUI second offense. North Carolina has the same type of lookback law in their DWI laws for license suspension, but is similar to Georgia in having a longer lookback period (7 years). Plus, NC measures the time frame as being date-of-last conviction to date-of-new-arrest. Because we handle so many DUI in Alabama arrests, we constantly need to collaborate with a DUI attorney in a neighboring state, to know these repercussions. This type of law provides much greater punishment for people arrested for DWI in North Carolina, if they are repeat offenders. 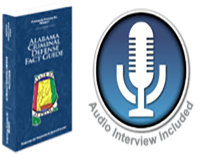 Alabama DUI penalties and consequences for multiple prior DUI convictions – Also, below you will see that for 3rd DUI or 4th DUI convictions in Alabama, the legislature looks at your LIFETIME record. This punishment scheme is similar to other states, like Michigan and Florida. But, other states, like Georgia, utilize a 10-year lookback period for all DUI Alabama offenses, with a DUI 4th offense being a DUI felony. Trial judges in Alabama don’t allow an accused drunk driver a “mulligan” or a “do-over.” You get one chance to win your Alabama DUI case, so why not hire an experienced, reputable, expert Alabama DUI attorney? The Birmingham DUI lawyers at Polson Law Firm in Birmingham have trained for their entire legal careers, to be able to accomplish favorable outcomes for their clients facing DUI Alabama charges, for driving under the influence of alcohol or drugs. 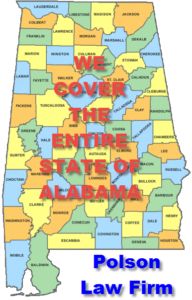 Our DUI attorneys travel to every Alabama courthouse in the State of Alabama. Our DUI lawyers are serious about helping you overcome this career challenge. An Alabama DUI lawyer from the Polson Law Firm will travel to your home or hospital location, if necessary, after you have been in a serious auto accident. 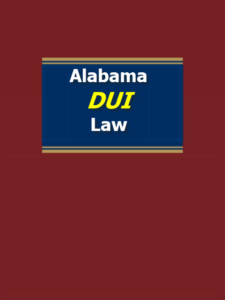 Whitney Polson, drunk driving book author and Super Lawyers DUI lawyer Birmingham AL will fight your Alabama DUI charges across the entire State of Alabama, as well as other misdemeanor or felony criminal offenses. If you were arrested for a DUI in Alabama, CALL our BIRMINGHAM DUI LAW FIRM now. At our DUI lawyer office, a DUI specialist will respond 24 hours a day. 205-871-8838. You can also call our Birmingham DUI attorney office toll free at 1-844-7POLSON [1-844-776-5766].